Today’s Virtual Book Club is a little different. It’s different because it is not the author but the author’s son who’ll be answering my questions. 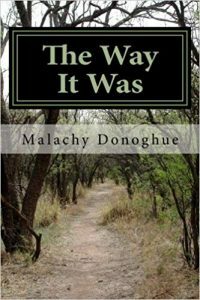 I’m delighted that Mike Donoghue approached me to talk about his late father’s memoir, The Way it Was. Mike’s father was Malachy Donoghue, Malachy was the fourth of nine children born to Jim and Delia Donoghue in Co. Roscommon, Ireland in 1927. Early on, he learned that life did not come without its struggles and by age of eleven Malachy was already running the family farm, while being forced to give half the rations to the Irish government because Ireland was a neutral country in World War II. In his early twenties Malachy moved to Alaska on a whim, where he ended up working in the gold fields for seven years. 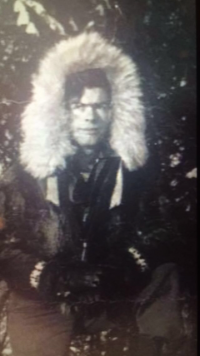 During this time, he regularly wrote to a pen pal back in New York, and when he was finished in Alaska he sent her a ring and asked her to be his wife. Malachy and Maureen ended up residing in New York where Malachy worked as an engineer and raised three children: Jim, Maura and Mike. 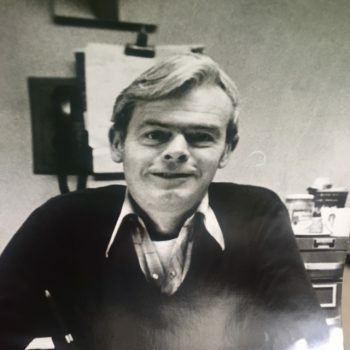 It was Mike who persuaded his father to commit his memories to paper, then edited and published them in 2016 after Malachy passed away at the age of 89. The Way it Was has been on Amazon and Kindle’s hot new releases list and is also on the bestseller lists for Irish biographies and Best Travel Europe books list. It has been featured on WCBS and in the Irish Times. Q: Mike, your father was obviously a natural storyteller, but can you tell us how and when he started to write his memoir? Q: Twenty words on why The Way it Was should be a reader’s next read….. If you like adventurous life stories about family, determination, the will to succeed and survival, read The Way it Was. Q: When young writers asked Paul Theroux for advice, he always suggested they leave home. In that way, Malachy was certainly qualified to write, wasn’t he? After enduring a very difficult childhood in Ireland, Malachy left for the US at the age of twenty-two. After a short stint in New York, on a whim, he traveled to Fairbanks, Alaska, where he worked in the gold fields for the next seven years. Eventually he returned to New York and married my mother, Maureen. Malachy was somewhat nomadic. He couldn’t stay put in one place for too long when he was young and travel is a huge theme of his book. After retirement many years later, Malachy and Maureen traveled the globe. 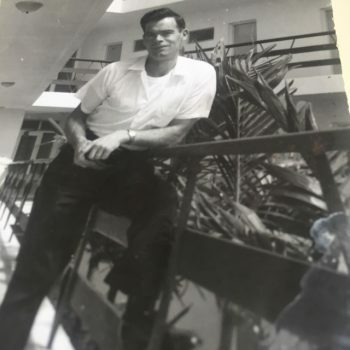 He felt that traveling was the real way to get an education and he and my mother never missed an opportunity to go an adventure. They were lucky enough to see all seven continents. Malachy was able to see the world through his own eyes and when you read The Way it Was you’ll feel as if you’ve traveled the world with him. He makes you feel like you were a part of his adventures. Q: I immediately warmed to the immediacy and authenticity of the extract you shared with me, but how would you describe Malachy’s writing style? The Way it Was is written in a no-frills, straight to the point, stream of consciousness style of writing. Malachy does not resort to bells and whistles to impress the reader because that’s not who Malachy was. He isn’t trying to impress anyone with his style of writing; he merely wanted to tell his story “The Way it Was”. Q: Which explains the title. I remember very early on in the writing process talking to my father about what he wanted to call the book. I distinctly remember him looking at me for quite a long time, almost staring through me, and all of a sudden snapping out of it and saying, “I want the title to be The Way it Was because everything I plan to write is exactly that. I’m not going to embellish to make the story more interesting because what’s the point of writing a life story if it’s not the truth?” I then said to him, “It’s a little Walter Cronkite”ish? But if that’s what you want the title to be, then that’s what the title should be!” And the rest is history as they say. Q: Do you think he was looking to entertain or illuminate? Neither. Malachy never expected anyone to read this because he didn’t think people would be interested. He decided to write it because he wanted to see if what we were all telling him had merit, that he did have a good story to tell. He wanted to inform people about what it was like to walk in his shoes but he never expected people to be interested or entertained. I honestly don’t think he expected more than ten people to read it. Boy was he mistaken! The book has been flying off the shelves since it was published back in February of 2016. Q: Did you talk to your father about which part of the book he found the most challenging to write and why? I know for a fact that the opening scene was the most difficult for Malachy to write. The book opens with a very emotional moment in his life. To be honest, I don’t know how he actually was able to write the scene. Looking back on it, I am so glad he started the book that way because it’s such a strong hook, and it sets the scene for what he’s in for – and it’s not pretty. As sad as it is, I don’t think he could have started it any other way. Each time I read it, it brings tears to my eyes. Q: I think that preserving stories like your father’s is one of the most important reasons for self-publishing. Now that you’ve been through the process, what do you think the greatest advantage of self-publishing is? Having control and being able to make all decisions regarding the book is a powerful feeling. But with control comes responsibility. Self-publishing takes a lot of work but the real work doesn’t start until the book is published. I spend hours every week just marketing and this is almost two years after it was published. I also believe being able to market your book the way you want to market it is important. For me, social media has been the biggest factor to our success internationally. 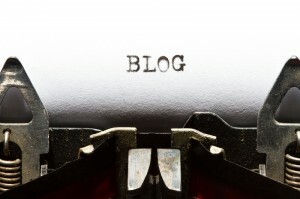 If you’re not using social media to market your book today, you are not properly marketing. As a self-published author, social media is by far the single most powerful tool you can use to get your book out to the masses. Please go to Facebook page The Way it Was @malachydonoghue to see how I use Facebook to market. I also use Instagram and twitter but Facebook has proven to be the most beneficial for me personally. Q: How easy or difficult have you found it to get media coverage from other sources? Do you think the media gives enough coverage to books? I think the media gives enough coverage to the books that should be covered. What I mean by that is today you have to market your book yourself. If you’re a self-published writer you must hit the bricks and contact media outlets if you want to get any coverage. At that point, the book speaks for itself. If the book resonates with the media they’ll cover it but you must get out there and get the book into their hands otherwise it won’t get attention. I have been thrilled with the amount of media attention the book is receiving but I do know that rejection is a big part of the process and having a thick skin is a must. I am truly grateful to all the media outlets that have covered the book as they’ve been nothing but supportive. Read the article in the Irish Times. Mike Donoghue on persuading his father Mal to turn his memories of life in Ireland and the US into a book. Read an article from Alaska Public Media. Go to Facebook page The Way it Was @malachydonoghue and like and share the page with your friends and family. If there’s anything else you’d like to ask Mike please leave a comment.